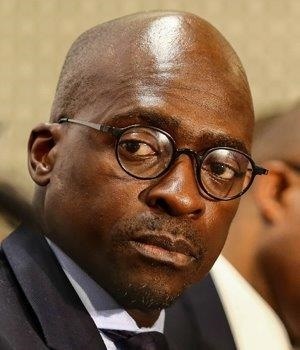 Johannesburg – Finance Minister Malusi Gigaba’s maiden budget was more diagnostic of the problems challenging the fiscus, and did little to clarify steps to be taken to solve the issues, said Alexander Forbes Investments executive chief economist Lesiba Mothata. He and other economists shared views on the mini budget, following its Gigaba’s speech on Wednesday. Dr Azar Jammine, chief economist at Econometrix said that there was not much Gigaba could do. Since his appointment, he has been regarded with scepticism and his susceptibility to state capture has been topical, explained Jammine. “Whatever he says people will regard with scepticism.” People will be keeping watch to see if he implements what he says, which will take a year or two to see. Jammine added that there were positives aspects mentioned, but all this was “nice talk” and “real action” should follow. Jammine also said that markets had been “unforgiving” towards the mini budget. Following the speech the rand fell as low as R14.10/$, its weakest level this year said TreasuryOne. Given that government is constrained to generate revenue, low growth and evidence that more tax hikes would lead to non-compliance, Jammine believes the extra finding will come from dealing with state capture. The mini budget neither inspired confidence, nor did it do anything to destroy confidence, he said. “For investors, nothing was said they didn’t already know and there were no unwelcomed surprises, but there hasn’t been enough done to start restoring confidence,” said David Crosoer, executive of research and investments at PPS Investments. Sharing Jammine’s view, Crosoer said that it remains to be seen if Gigaba will follow through on hard expenditure decisions that need to be made. Business Unity South Africa (BUSA) also does not believe the mini budget brought about needed confidence and certainty to the economy. 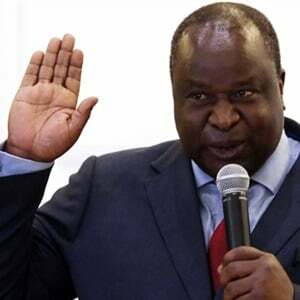 BUSA raised concerns over Treasury’s projection that the budget deficit to rise from 3.1% of GDP to 4.3% for 2017/18, further national gross debt is expected to increase to 60% of GDP in the next decade. A revenue shortfall of R50.8bn is expected for 2017/18. “While the broad brushes of intent expressed by the minister were promising, the clear plans and details were insufficiently articulated,” said CEO Tanya Cohen. Business is also “cautious” about efforts to be made to ensure better governance and management at state-owned enterprises (SOEs), particularly the refinancing of SAA through the sale of government’s stake in Telkom. “Business is, however, disappointed that no further, bolder announcements on SOE reform and governance were made, particularly regarding Eskom,” said Cohen. Sanisha Packirisamy, economist at Momentum Investments said that the mini budget appeared to be less committed to fiscal consolidation than in the recent past. The budget also appears tilted towards government intervention rather than supporting private sector. A presidential task force is to be appointed to help solve the challenges of the fiscus, details of the plan are to be revealed at the National Budget in February 2018.